This class follows up where the Intro left off. 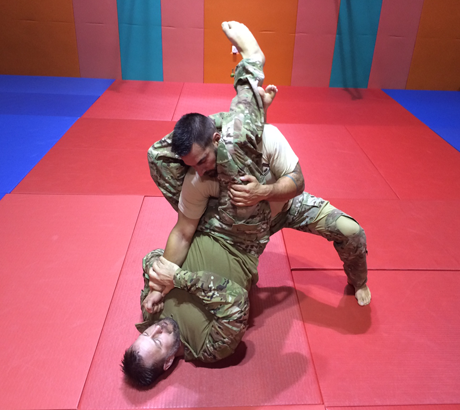 Getting straight into practical exercises, you will begin to learn more advanced and violent techniques of winning a close quarters fight on the street. The instructors will lead you through utilization of the improvised striking tools, weapon take aways as well as reversals and bettering a bad position. We will run striking drills to improve speed and accuracy and you will participate in force-on-force fighting scenarios with instructors wearing protective suits to get a realistic look at a street fight. This isn't the UFC - there are no octagons, referees or bells. This is a physically demanding course. It will be held indoors and on mats, but you must be free of any injuries and in decent physical condition.